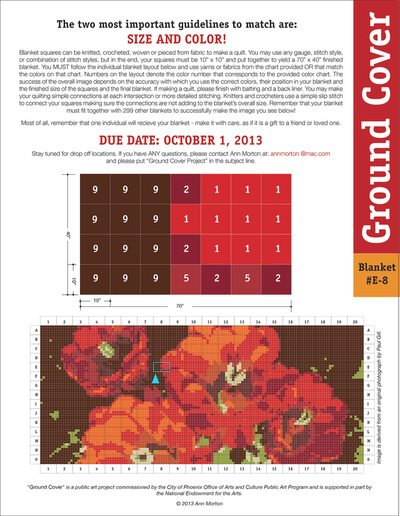 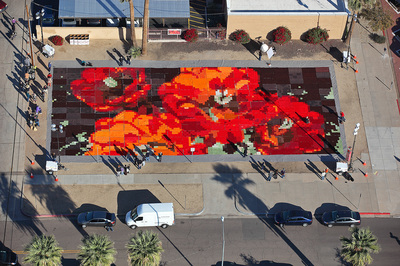 Ground Cover was a public art action commissioned by the City of Phoenix Office of Arts and Culture and funded in part by the National Endowment for the Arts, Our Town Grant. 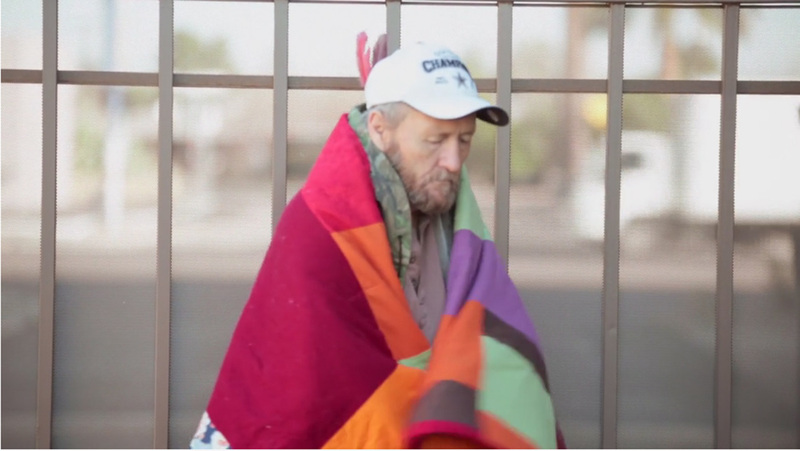 The project engaged an estimated 600 + volunteers, (affectionately called, "blanketeers"), from 22 U.S. states and Canada to make 300 blankets. 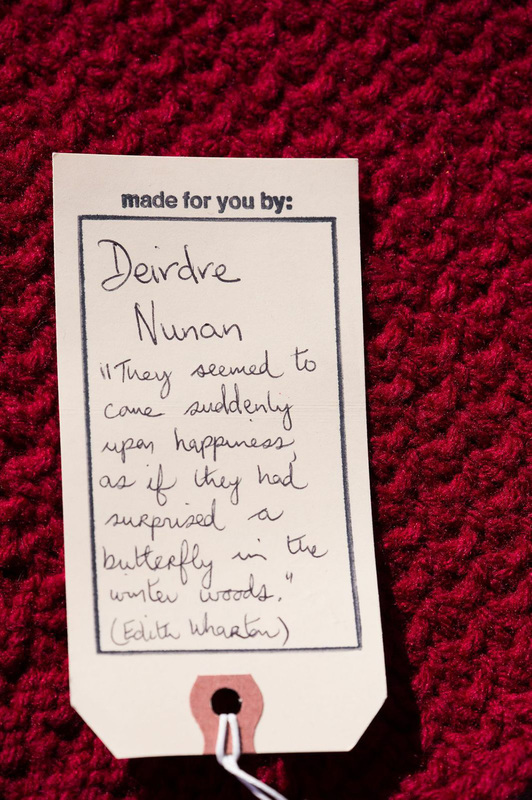 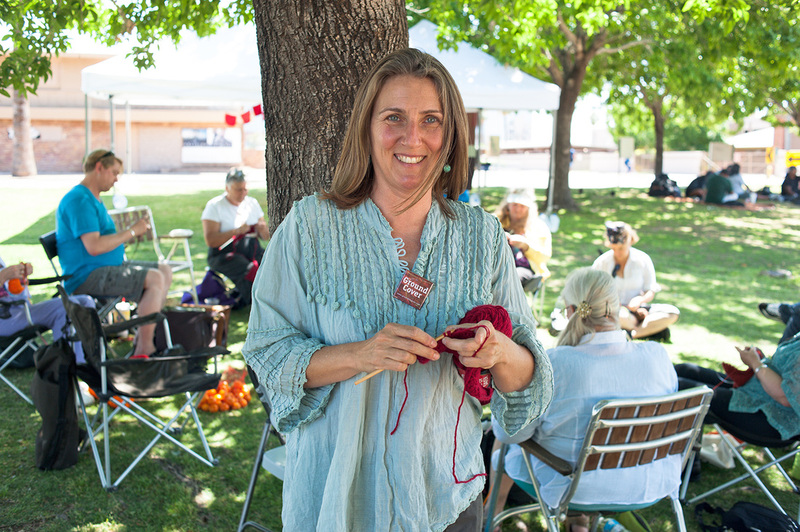 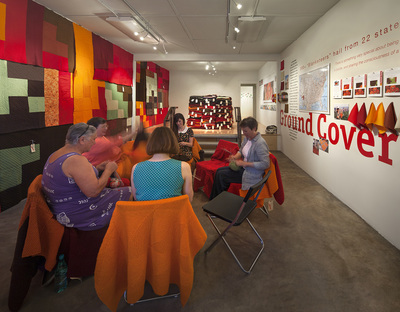 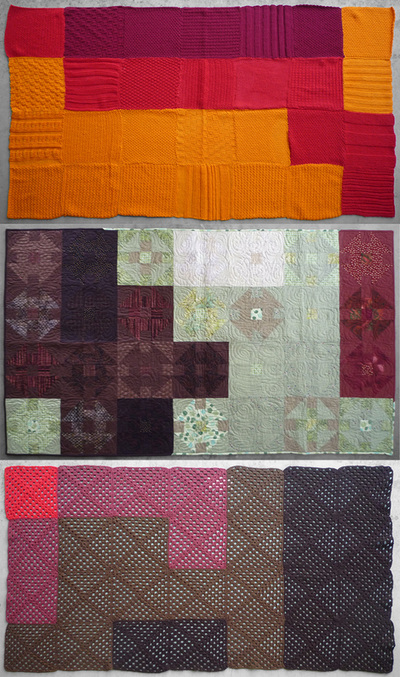 Each blanket - knitted, crocheted, quilted or woven - was made up of 28 - 10" x 10" squares, each square making a "pixel" in the overall image of desert blooms. When put together, the 300 blankets form the 50 ft. x 116 ft. Ground Cover blanket. 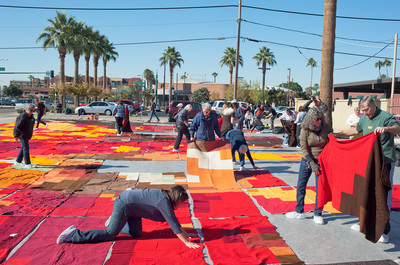 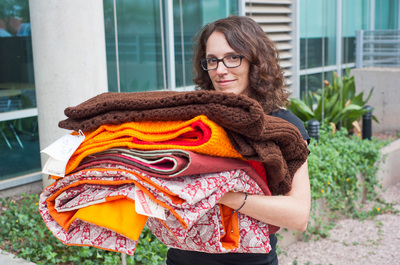 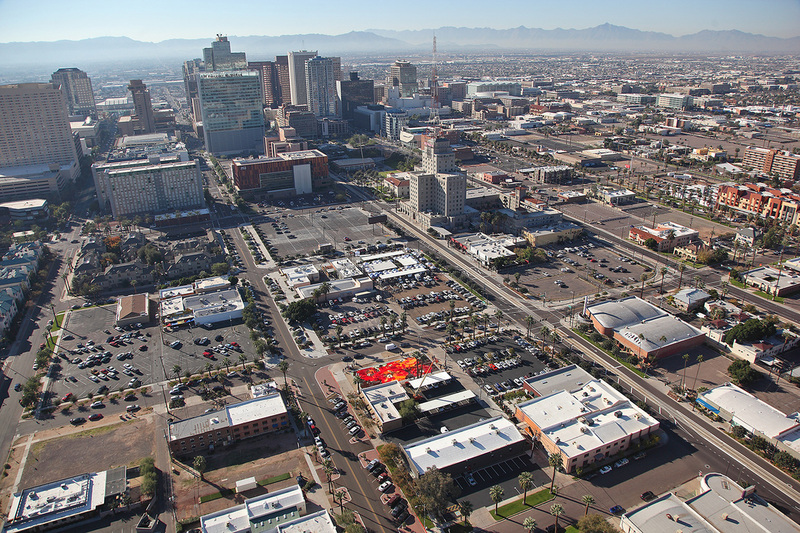 The installation took place on a vacant lot in downtown Phoenix, recorded through time-lapse video, then each of the 300 blankets was given to recipients experiencing homelessness through 11 service agencies. 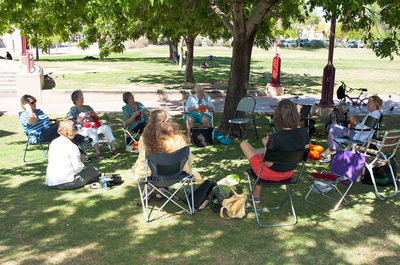 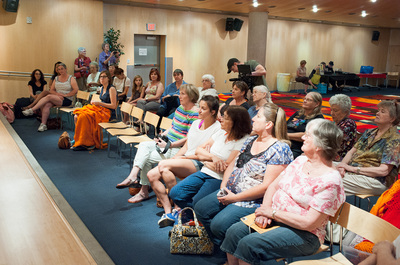 This project was included in the Americans for the Arts, 2014 Public Art in Review, was awarded the Crescordia Award at the 2014 Arizona Forward Environmental Excellence Awards - the top award for Art in Public Places, and was awarded best of show in the 2015 Surface Design Association international show, Materialities, juried and curated by Namita Gupta Wiggers.